Here are some things to consider before filling out an application and asking to meet one of our awesome and amazing puppers. On average, dogs live to be 10 – 15 years old. How old will you be in 15 years? Do you plan to move at all in those years? How likely are you to relocate for your job? Are you willing to move the dog with you? What major changes might happen in your life? Marriage? Children? How will the addition of a spouse or a family effect your relationship with your dog? Are you getting this dog for one of your children? How old is that child? Where will they be in 15 years? Are you willing to continue caring for the dog after the child has moved out? Have you ever owned a dog that you’ve had to “get rid of”? What were the reasons for getting rid of it? Have those issues been resolved? What is different now that will make this pet more successful in your family than the last one? How active is your lifestyle? Unless you are looking for a senior dog, most puggles & pit bulls are energetic dogs who will require exercise and mental stimulation on a regular basis. Dogs in general prefer to be with their humans instead of left home alone for 10 – 12 hours a day. Does your social life allow for the inclusion of a dog? Do you have the time and energy to provide the activities they need? Are you financially able to take care of a dog? Vetting alone costs probably $500 – 1,000 a year in the San Diego area. If you are considering a bully breed, you will be required to enroll in training classes as well, which will cost an additional $150 – 200 for a 6 week session. Add to this the cost of a high-quality food, toys, treats, and anything else you might need or want for your dog, and you’ll quickly realize that one dog can add considerable expense to your monthly budget. If you rent, make sure there are no size or breed restrictions in the neighborhood, community, or with the owner. If you rent from an owner directly, make sure they check their HOA, community by-laws, and homeowner’s insurance. Is there an additional pet deposit or a monthly pet rent? If you own your home, make sure there are no restrictions placed by the community, HOA, or homeowner’s insurance. You may need to find other insurance that will provide coverage for a home with a bully and these premiums may cost more than your current provider. Are you willing to go through this leg work and can you afford an increase in your monthly expenses? If you haven’t guessed, adopting a dog, whether from a rescue or a shelter, is a big decision. Make sure you think about all of these questions and are honest with yourself about the answers before deciding a dog is right for you. Have you Gotten this Far? When you are ready to commit to a dog for his/her WHOLE LIFE, please complete the Adoption Application; you can download it HERE. You can either return the Application to us via fax (619-764-4005) or email (pugglesnpitties@gmail.com). You fill out an Application and return it to the rescue. We review your Application and follow up with a phone call to ask questions and get a better sense of the person behind the app. Vet reference is checked, as is verifying with your landlord that the dog is permitted in the home (if applicable). Meet-N-Greet. We will arrange for you to meet the dog you are interested in at a location mutually convenient to all. We do not have a shelter facility nor do we hold regular adoption events, so all meetings are done on a one-on-one basis by appointment. If there are children or other dogs in your home, this is also the time to see if your potential new family member gets along well with them. Home visit. Every potential forever home must undergo a home visit before the dog will be released to your care. NO EXCEPTIONS!! 24-Hour “Cooling Off” Period. Everyone wants the dog that is right in front of them looking adorable. To make sure you are making the decision with your head and not your heart, after the home visit we require a 24 hour period where you think realistically about bringing this particular dog into your home and all of the changes this will require you to make in your schedule, routine, and life. If after this time you would like to proceed with the adoption, the contract is signed, the adoption fee paid, and the dog becomes your new little bundle of joy!! Criminal background checks are run on all applicants of “bully breed” dogs. 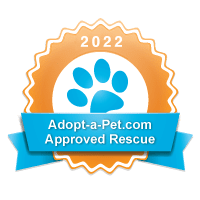 All dogs adopted through Puggles & Pitties will be altered prior to adoption and will be up to date on all shots, as appropriate for the dog’s age. These donations help offset some of the costs associated with rescuing your dog. We spend an average of $500 on each dog to get them ready to go to their new home. i am submitting an adoption application for a black male puggle. I will be faxing it to you on Tuesday. I hope that my application does not come off as be too specific as to what I want, but I .have a 2 year old fawn puggle and have always wanted a black puggle to be his and my buddy. I thought about getting another puppy, but decided to try and save one. Look forward to an interview with you. Thanks for your consideration of my as a potential adopter. Thanks Dave, I look forward to receiving your application!